Christmas Decorations Parade at the North Pole - read Santa's story now! Well, first, the elves that make the Christmas lights put up strings of flashing lights along the parade route. It really looks Christmassy! It is very bright too! The elves putting up the Christmas lights have to wear special sunglasses! Then the parade starts with the dancing Christmas trees. They are decorated so nicely! Some have tinsel. And some have Christmas balls. Some are covered in ribbons. And some are even covered in stuffed toys. Then the elves push the trees around on little carts to make them dance. After that, a bunch of elves dressed up as light bulbs come dancing! Mouse the Littlest Elf even drew a picture of them for you! There are many fancy floats too. One float is covered in Christmas wreaths. All of a sudden, a whole bunch of elves pop their heads out of the wreaths and shout “Merry Christmas!” Everyone laughs and shouts “Merry Christmas!” back to them. Another silly float has a big house on it with lots of lights. But the lights keep burning out! Isn’t that silly? Clumsy the Elf keeps running around with a ladder changing the light bulbs. Of course, you never know what will happen when Clumsy the Elf climbs a ladder! There are also great big Santa balloons, reindeer balloons and snow globes. They are so big the elves holding them keep floating up in the air. Then another elf will grab their leg. That brings them back down so they do not float away. Can you imagine floating elves? Elves also dress up in big Christmas bows and dance to Christmas music in the parade. Other elves are in present boxes. It is funny because they cannot see where they are going! They keep bumping into each other. They are such silly elves. The parade always ends with the “running of the reindeer”. Well, that is what we call it anyway. The reindeer tie piñatas to their antlers. The elves have special soft foamy bats. The elves try to break the piñatas to get all the goodies inside. But every year the reindeer are too fast (or maybe the elves legs are too short?!). I heard that next year some elves are going to wear roller skates! I love you santa claus I hope you come to my house tomorrow ps; me and my family will leave you cookies and milk for treats! 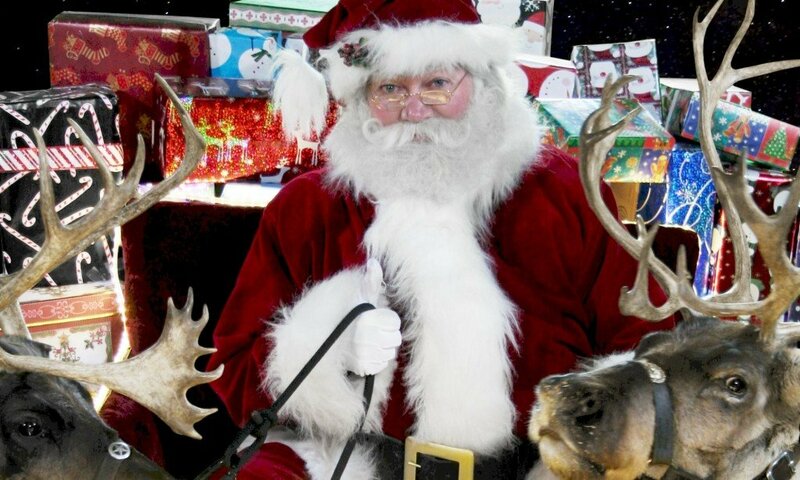 hi Santa how are you do you know my elves buster and max? Hey santa. I. Will have your milk and cookies ready for you when you come to my house. this game’s name is answer the parcel. I think that funniest part will be Clumsy. He always does so funny things. Also tell Mouse thank you for the picture. My friends dont belive in you but I dont listen to them. Previous PostPrevious Thanksgiving and Football at the North Pole – A Silly Clumsy Story!